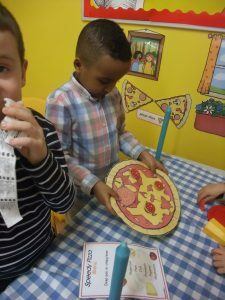 Our Aistear theme for this month is The Restaurant/Bia. 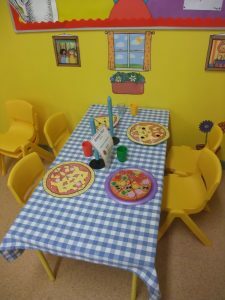 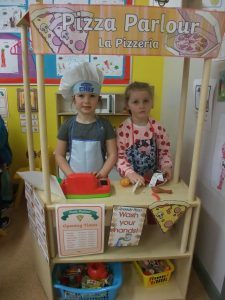 We set up a Pizza Parlour in our class and had great fun pretending to be waiters/chefs and customers. 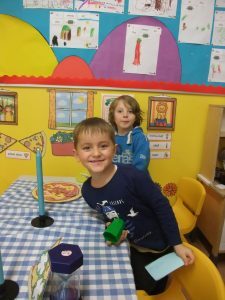 We discussed times that we have visited restaurants and what we ordered. 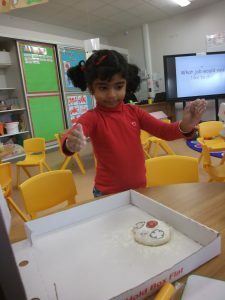 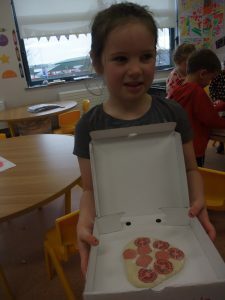 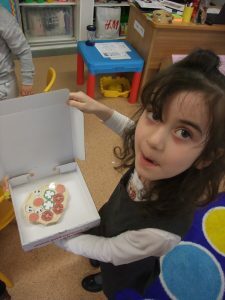 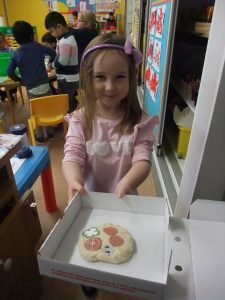 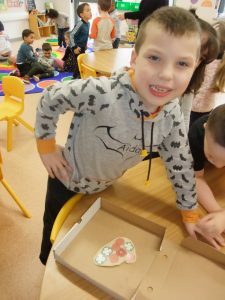 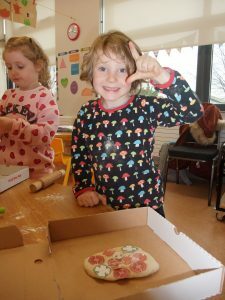 We also had a chance to make pizzas from dough and decide what toppings we would like to put on. 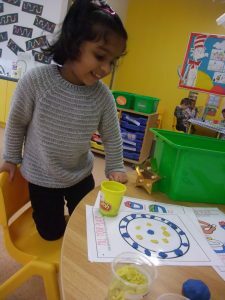 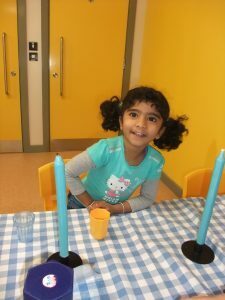 We learned how to set a table and how to clean up the crockery afterwards!